Before this release, several other bootleg DVDs had compiled 1960s Who footage, with varying degrees of success. It's difficult, however, to imagine a better, more comprehensive one than this two-DVD collection, which assembles almost four hours of live, mimed, promo, interview, and documentary clips from various sources. The image and sound quality are usually as good as, or better than, what's seen or heard on those previous compilations, and most of clips appear in the most complete form known to exist. There are a wealth of riches here, from relatively common (at least to the people who collect this sort of thing) items such as their 1965 Ready Steady Go and Richmond Jazz Festival appearances to some little-seen sequences such as their mimed June 1966 appearance on the Swedish Popside show; a live July 1966 London college gig, including a not-too-audible version of "C.C. 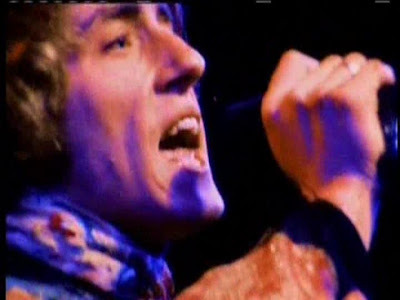 Rider"; the Monterey Pop film outtake "Pictures of Lily"; live and interview footage from Helsinki, Finland, in May 1967; and promotional films for Tommy, linked by a few interview segments in which Pete Townshend explains the songs. There's even the U.S. promo film for "Substitute," in which they mimed the amended lyrics (omitting the reference to a black father) in the American 45 version. 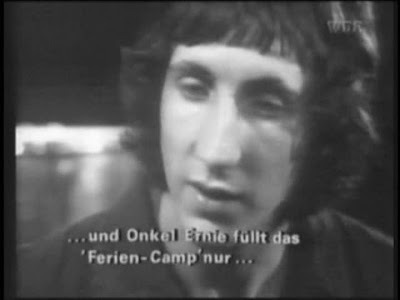 It doesn't gather every last scrap of 1960s Who footage: there's nothing from their Woodstock appearance, and their famous violent performance of "My Generation" on The Smothers Brothers in 1967 is missing the end bit where Townshend smashes Tommy Smothers' guitar. 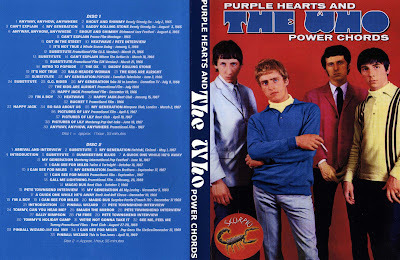 Some of the portions are obviously lifted from sources that are easily accessible via commercial releases such as The Kids Are Alright, Monterey Pop, and The Rolling Stones Rock and Roll Circus, and no doubt some of the clips could have been presented in better condition if this was an authorized production. The likelihood of such a thorough authorized compilation seems distant, however, leaving the gap for bootlegs such as this to exploit. Despite those very minor shortcomings, it's an amazing document, and totals up to the most convincing evidence ever assembled as to the Who's mesmerizing power as a visual performance act. best compilation of early Who! !